In Jean Shinoda Bolen's best-selling, game-changing Goddesses in Everywoman, myths came to life in a whole new way that resonated with our own lives. 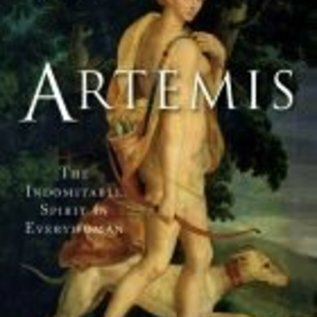 Even fictional character Bridget Jones was reading that book.Now comes Artemis: The Indomitable Spirit in Everywoman, a groundbreaking new book that explores the archetype of the activist. Indomitable means untamed, unsubdued. It is the one-in-herself quality in girls and women who will not be victims, no matter what. To bring the Artemis archetype to life, Dr. Bolen delves deeply into the myth of Atalanta, the famous hunter and runner in ancient Greek mythology, a mortal woman who is identified with Artemis the Greek Goddess of the Hunt and Moon. Atalanta began life abandoned and left to die because she was born a girl. She faced the Calydon Boar and drew first blood; she was the runner who would demand to be beaten in a footrace by the man who could claim her as his bride. Atalanta exemplifies the indomitable spirit in competent, courageous girls and in the women they become. This is grit, the passion and persistence to go the distance, to survive, and to succeed.